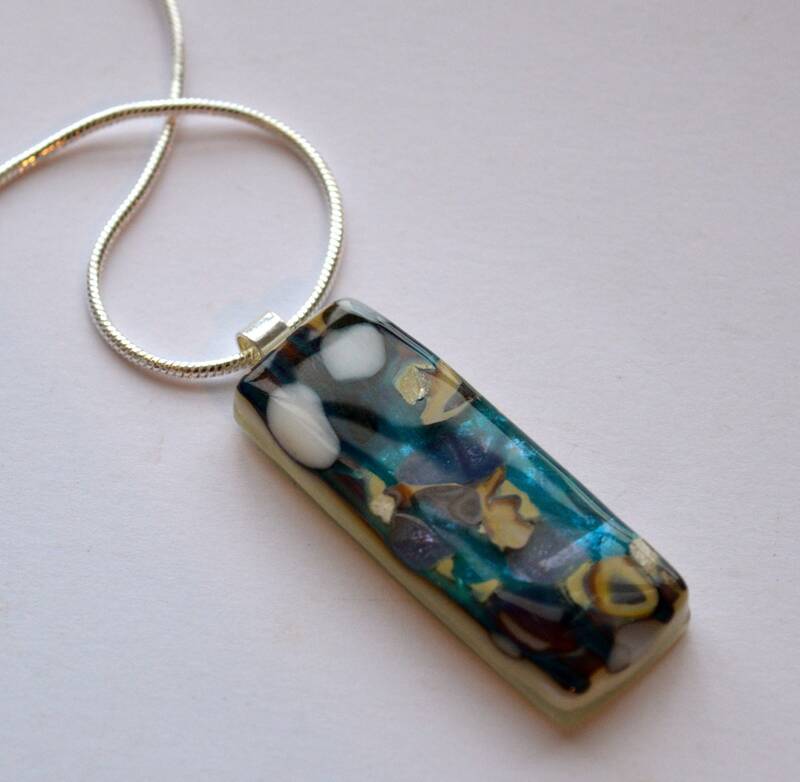 Multi colored fused glass pendant with sterling silver snake chain. 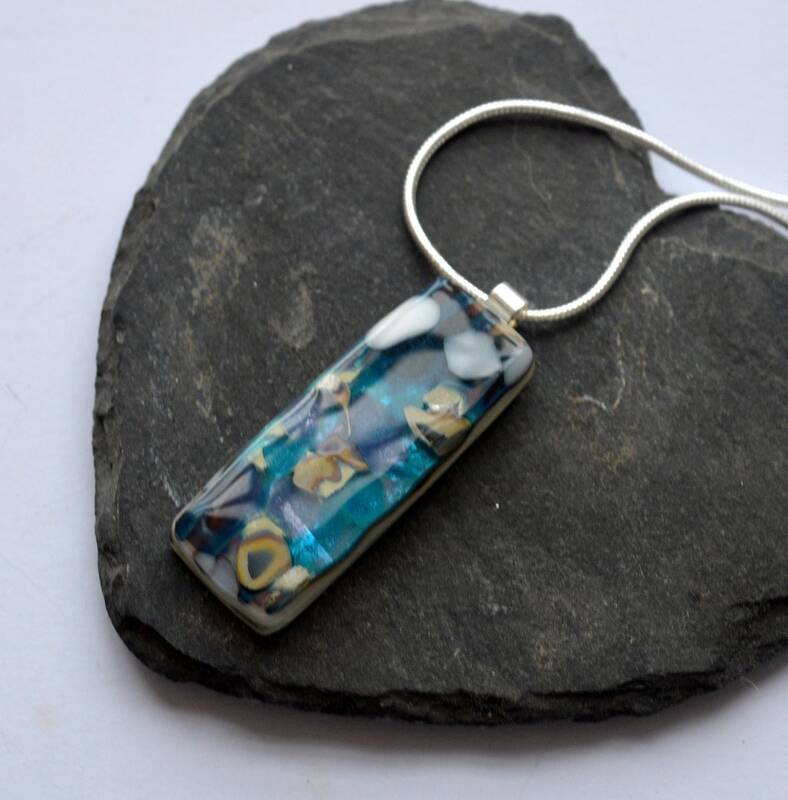 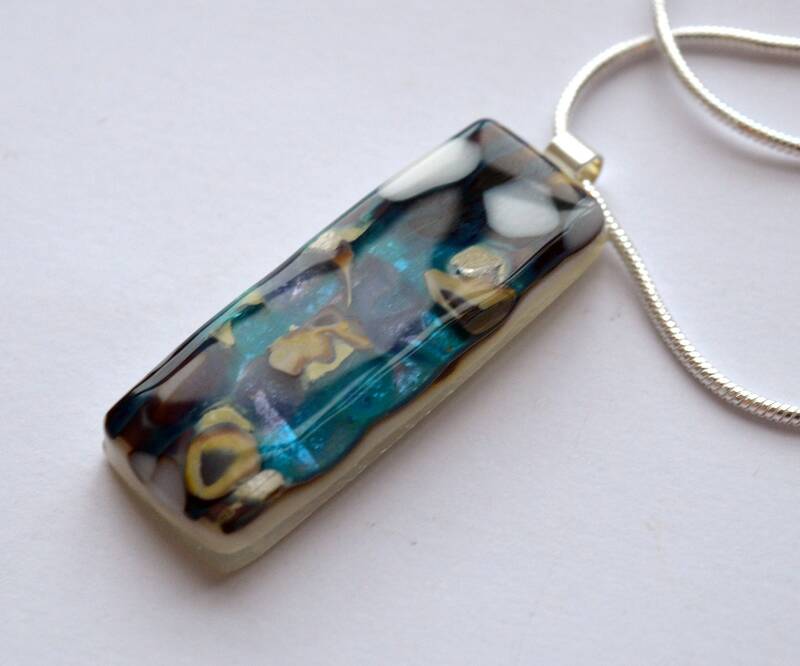 This pendant has many different colours of glass on a cream and clear base and reminds me of the sea bed. 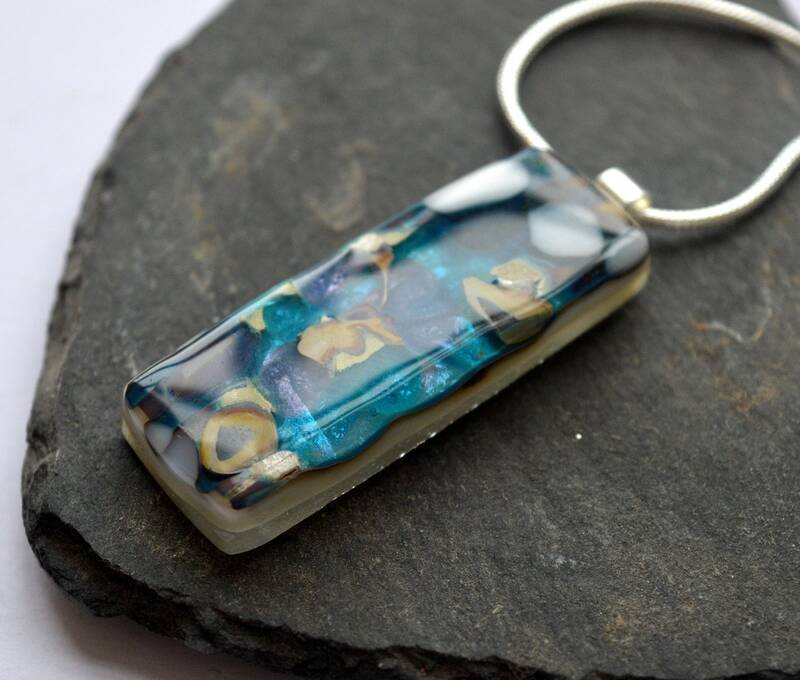 It was hand cut from a glass slab and required lots of cold work including grinding, sanding and a further kiln firing to make it extra shiny and smooth. 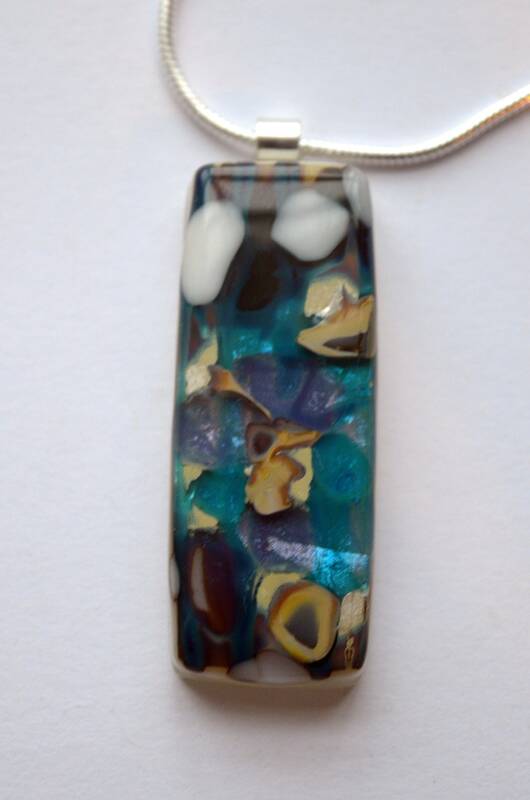 The pendant measures approx 5.5 x 1.75 cm without the bail and the sterling silver chain is 2mm thick and 18 inches long. 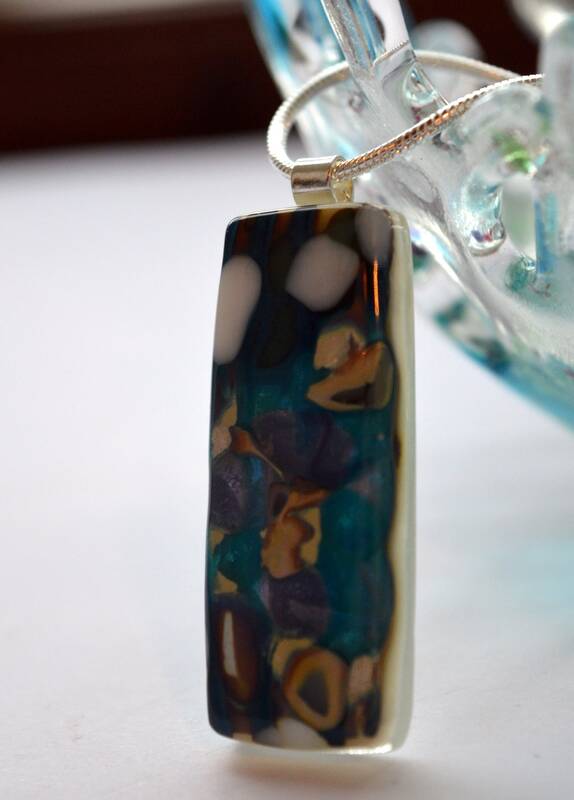 The tube bail is also sterling silver. 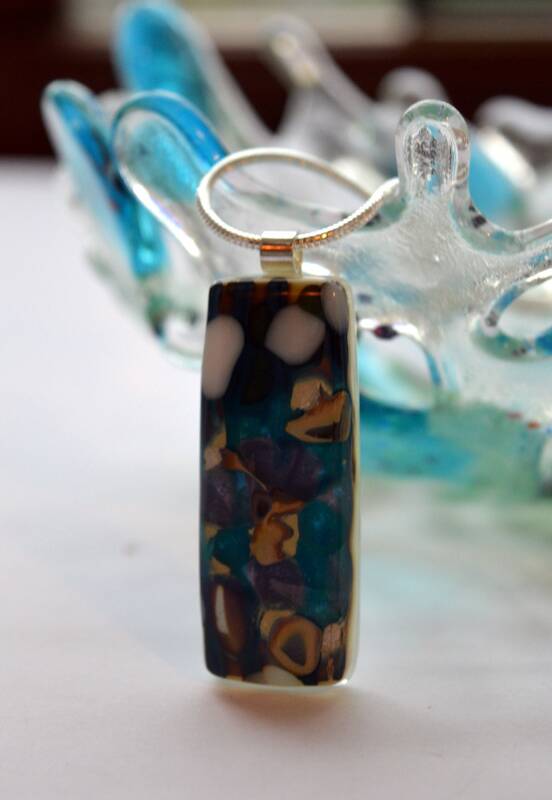 Made in my small home studio will come presented in a little box.